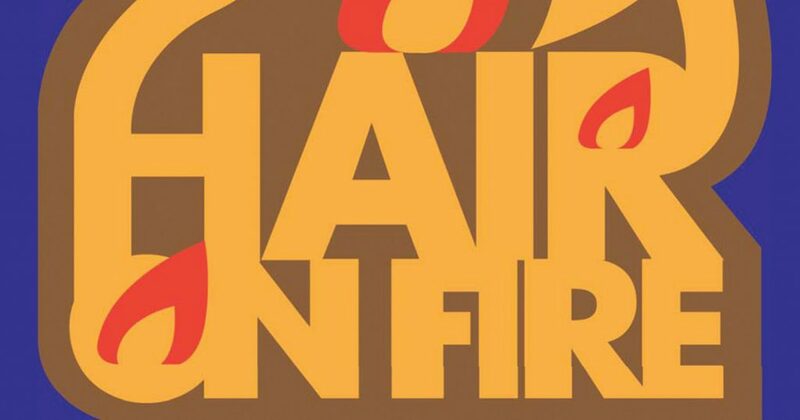 Curated by Mark Sloan, “Hair on Fire” represents six contemporary artists who explore the diverse history of human hair through their art—from its significance in mythology, cultural anthropology, fashion, and folklore, to its rich metaphorical possibilities. 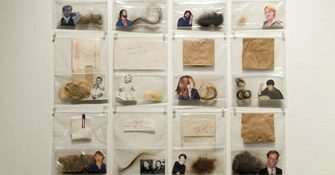 Each artist creates works that are either made of, incorporate, or relate to the hirsute. Artists featured are Caryl Burtner, Sonya Clark, Talia Greene, Ruth Marten, Althea Murphy-Price, and Loren Schwerd. Caryl Burtner was born in Washington DC, and grew up in Bellevue, Washington and Vienna, Virginia. She attended Virginia Commonwealth University’s School of the Arts, in Richmond, receiving her BFA in 1979, and attending the graduate sculptural program in 1982. Burtner has lived in Richmond ever since–collecting and cataloguing, documenting subtle changes, and testing superstitions. For over 30 years, I have collected objects and information that document the minutiae of my life. From 1000+ documented toothbrushes and 2000+ annotated lipstick blots, to 45 binders documenting my wardrobe, jewelry, accessories, and all the personal products I use, my collections bring you into my world of personal and public history. My hair collection is the most personal of my collections because hair is an extension our physical and spiritual selves. It is also, potentially, my most powerful collection, since hair plays a prominent role in magic spells. And though the superstitions and folklore are fascinating, people who contribute hair samples need not worry: I shy away from witchcraft. To me, documenting changing hairdos and hair colors is simply an excellent way to mark the passage of time.